A sound understanding of the biology of fleas is an important prerequisite to effective control. Adult fleas are small (1.5-4.0 mm) long), usually brownish, strongly sclerotized, laterally compressed (facilitating fast movement through dense hair or fur), and equipped with piercing and sucking mouthparts. In the course of insect evolution, it appears that fleas have become wingless (again, a condition that suits their parasitic lifestyle). Their well-developed hind legs facilitate very powerful jumping, and claws on their legs ensure that they grapple onto the host animal. Some species have a transverse row of spines above the mouthparts, called the genal comb. The pronotal comb, when present, is a row of transverse spines on the pronotum. Such structures can be important in flea identification. 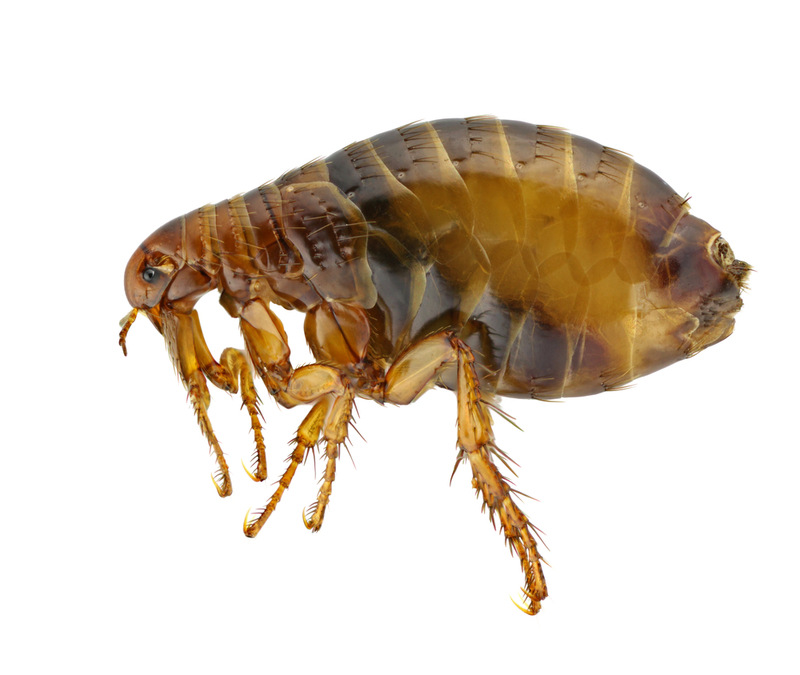 If you have a flea problem, contact Australian Pest Specialists on 1300 42 42 66 for a pest inspection.